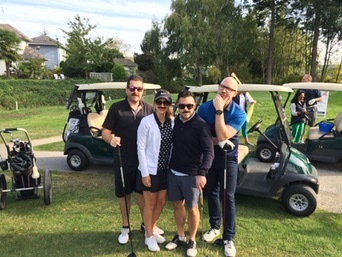 On September 29th 2016, the Citywide Mortgage Team and a handful of sponsors hosted the inaugural ‘Nine and Dine’ at Beach Grove Golf Club in Tswassen in support of the YMCA Woodwards Childcare Centre. Throughout the year, Citywide hosts local charity and fundraising events to bring awareness and money to some of our favourite causes. One of these causes happens to be the Woodwards Childcare Centre! We set out to raise $10,000 which was quite the lofty goal for the first golf tournament, but guess what?! We smashed that goal and raised over $15,000! 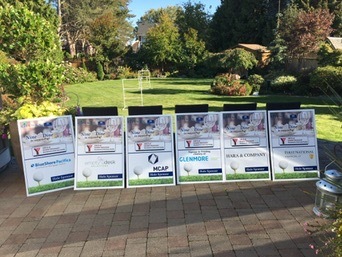 The day was truly spectacular – 60 golfers ready to rock the course (complete with a cart done out as a Pirate Ship… another story ), the beautiful crisp fall air and a perfectly sunny day to top it all off. Golfers arrived and mingled before taking their places with their teams at their designated holes for the shotgun tournament which started at 3pm. After a few hours of fun on the course and visiting with the sponsors, it was off to the dinner in the Beach Grove Dining Room where there was not only a delicious feast and more drinks and mingling, but there were auctions and prizes for everyone to enjoy. We want to thank each and every person who supported the event and came out to play, and a thanks to the sponsors as well for donating their time and money to this fantastic cause. Stay tuned for next year’s event – we had so much fun that it just might have to be our new annual tradition!